Regions declarations for local invoicing from regions. Export / Import Invoicing & Printing. Different types of orders to suit varied needs of customers. 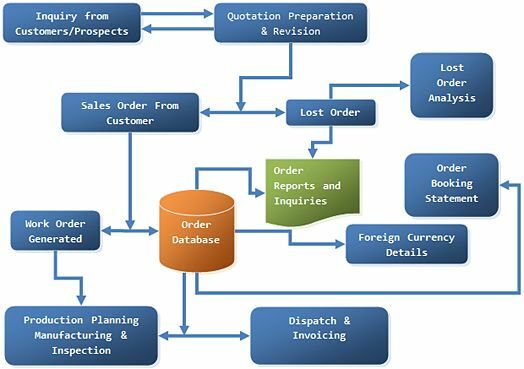 (Sales order based on Enquiry / Quotation and Direct Sales order). Rate and Discount base Orders as well as need based rate orders. Facility to tag advance payments and reminder there of. Separate categories for sales and purchase orders. Sales Forecast v/s Actual with realization. Automates the complete “sales force” system (Collection Plan etc). Special treatment to material sale with import and despatch. Other Incidental Charges and their flexible calculation. Repairs handled with at most care to issue bad quantity only.